Housebuyers are a fickle lot – often deciding the biggest purchase of their lives within moments of getting through the front door. And more often than not it is the trivial that sends them scurrying away – instead of concentrating on numbers of bedrooms or structural stability they are put off by pictures, plants and pouffes. Despite the fact personal effects tend to leave the home with the seller, our own sense of taste can easily make or break a sale. But if we love our home we often cannot see how offputting our children’s artwork or cat’s scratching post can be to a potential buyer. This is where home staging comes in. First made famous in the UK at the turn of the century by Channel 5’s House Doctor, Anne Maurice, the concept has caught on and not only can sell your home quickly but can even add thousands of pounds to the price. Today the Home Stager Network can put sellers in touch with a professional quickly and easily – and it boasts more than 250,000 unique visitors a year. The trick is not to undertake major alterations but to make the best of what you have – albeit maybe with a few accessories or tweaks to make your home seem more appealing for the majority. What would you do to prepare each room so it looks its very best for the photographer? Perhaps you would move furniture around to accentuate a feature, or have a grubby wall repainted – it is really about looking at your house with a critical and objective eye. For those of us too close to our homes – or just short of time or a creative eye – spending some money on a home stager can see the investment returned multiple times. A typical home stager may cost £300 for a first visit and recommendations with time charged by the hour after that. This could include shopping for you or just making a shopping list that you take to Ikea. 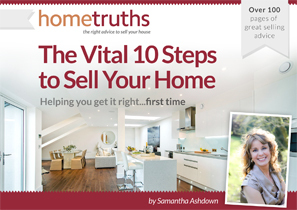 It is rare someone should have to spend more than £1,000 on a successful homestaging and often much less. And if you choose the shopping well – those beautiful new cushions, rugs, lamps ad pictures that look so good in your old house, well, they get to go with you to your new one. What to Read Next – Selling Your House – Your 20 Minute Weekly Workout!